Today’s parts cleaning processes can handle even the worst grease, oil and dirt build-ups commonly seen in engine rebuilding. Photo provided by ARMEX. Cleaning is a time consuming, expensive process for most rebuilders. 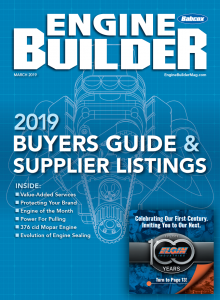 According to Engine Builder’s most recent Machine Shop Market Profile, rebuilders say they spend more than 15 percent of their total production time in cleaning. Whether it is due to government regulation or recognition that some types of “traditional” cleaning aren’t good for the environment and employee health, attention paid to the cleaning processes used in engine rebuilding facilities has sharpened. Safer, less toxic methods continue to gain a foothold in today’s professional shops. Every day, cleaning engine parts – whether they are small parts like fittings and fasteners, bigger parts like connecting rods and pistons, or even cylinder heads and engine blocks – requires more and more attention to the three E’s: economics, efficiency and environmental awareness. But while shops may have the same ultimate goal – clean parts – the methods they can choose from may be very different. What seems to be good enough isn’t anymore, and although there isn’t one system that will handle all your cleaning needs, the good news is that the systems available today can have a positive effect on shop efficiency, business economics and environmental impact. The cost of equipment, chemicals, labor, maintenance and disposal costs can be significant, but cleaning expenses are an important cost of doing business. Doing it wrong can require even more expense in labor or parts replacement. Many of today’s small parts can be easily damaged by aggressive cleaning procedures such as shot blasting. However, cleaning parts by blasting the surface with sodium bicarbonate (baking soda) has become a popular alternative to other traditional blast media. Being water soluble, and a relatively soft media (a hardness rating of only 2.5 on the Mohs scale), baking soda won’t etch or work harden the surface of the parts that are being cleaned. It is very effective on aluminum, and can remove dirt, grease, oil and even paint. It’s also an ideal cleaning material for removing carbon deposits from pistons. Soda can be used with either a dry blast cabinet or in slurry form with a vapor blast cabinet. You also do not have to prewash parts prior to soda blasting as you do if you’re cleaning with glass beads or similar media. Soda is environmentally-friendly, too. It leaves no residue on parts, it’s nontoxic, nonflammable and rinses right off. Baking soda media is typically available in three sizes (small, large and extra large), and may be formulated with other additives to prevent clumping when used in humid environments. It can also be blended with aluminum oxide if a more aggressive cleaning action is required. Some shops also mix small-sized stainless steel shot with soda if they want a shot-peening effect while they are cleaning. Because soda is so soft, it shatters when it hits the surface of the metal. This creates a lot of dust and means it can only be used once (unlike glass beads and steel shot that can be reused many times). To improve operator visibility, some dry blast cabinets have a controlled air flow pattern that helps keep dust away from the window. When used in a vapor blast system, soda is mixed with water and other ingredients to form a slurry. The slurry is pumped through a spray nozzle to clean the part, and is then recirculated allowing the material to be reused three or four times during the cleaning process. The slurry solution can be either used in a manually operated blast cabinet or in an automated system with multiple nozzles. The cleaning cycle is followed by a rinse cycle to remove all traces of the slurry. The slurry scrubs as it cleans, allowing faster, more effective cleaning. And unlike bead or shot blasting, it won’t peen small cracks together that could hinder crack detection efforts later. Often, machine shops and engine builders are tasked with the challenge of finding cleaning solutions that are both cost-effective and ecologically friendly. Concerns about solvents are many: volatile organic compounds (VOC) that contribute to smog formation may be toxic when inhaled; solvents evaporate quickly, making worker exposure difficult to control and monitor; and legal restrictions dictate how and where you can dispose of waste. For these reasons, aqueous cleaning has gained a solid foothold in today’s engine rebuilding facilities. There are many different aqueous solutions available for effective cleaning of cast-iron and aluminum parts, and according to the aqueous-cleaning equipment manufacturers, water-based detergents and washer systems clean just as effectively as solvents – provided the equipment and cleaning solutions are maintained properly. Aqueous cleaning is fast, too. A typical wash and rinse cycle may only take 10 to 15 minutes compared to hours of soaking in caustic or a solvent tank. Automated spray washers and flow-through systems mean you can load the parts, push a button and walk away, eliminating the need for a lot of manual scrubbing and brushing. This frees up time for other tasks such as billable labor for machine work or assembly work and helps boost overall shop productivity and profitability. With aqueous-based cleaning processes, choosing the “right” detergent and/or chemical for the application is very important. The same equipment may clean very differently when different detergents are used. Some cleaning products are formulated for specific types of applications like aluminum or cast iron, while others are “general-purpose” cleaners. The best advice here is to follow your equipment suppliers’ recommendations for chemical usage. Several manufacturers recommend using a milder or less aggressive cleaner on aluminum because some products designed for cleaning ferrous metals can etch or discolor aluminum making it difficult to achieve a bright like-new finish. 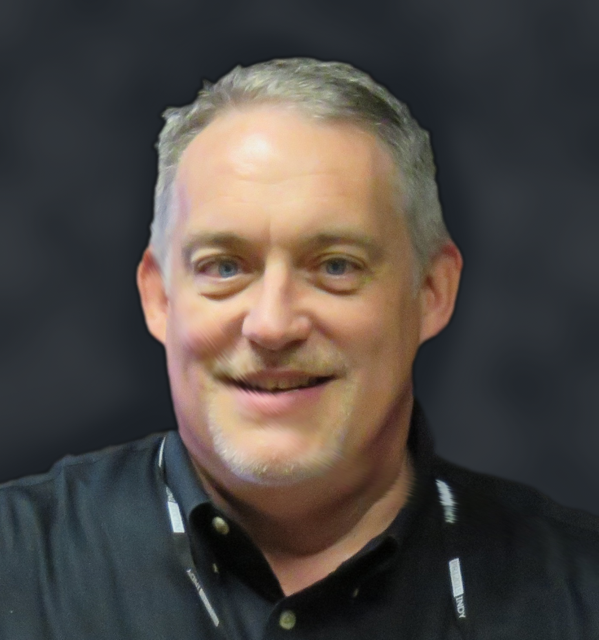 Yes, this may mean you’ll need to invest in separate processes for cast iron and aluminum cleaning, because, again, manufacturers say there isn’t a universal solution for all applications. Using different cleaning solutions for aluminum and cast iron can complicate the cleaning process, so some rebuilders set up separate cleaning lines for each type of metal. Many rebuilders also use different cleaning techniques for different metals, using a spray washer for aluminum and an oven for cleaning cast iron blocks and heads. Others may use an oven to bake off grease and oil, and a spray washer, rather than a shot blaster to clean off the scale and ash left by the oven. Spray washers also seem to be a popular choice for final cleaning to removing oils and residue after parts have been machined. Some aqueous-cleaning equipment manufacturers sell their own brand of detergent and/or chemicals while others do not. Most equipment suppliers do provide a list of recommended products for their washers. Spray washers that operate at lower pressures and rely more on the surfactant action of the detergent to clean parts will be more sensitive to the type of cleaner used and the concentration of cleaner in the solution than equipment which operates at higher pressures and relies more on the force of the water to loosen and remove dirt. For water to clean effectively, hotter is better – up to a point. The recommended temperature range will vary according to the type of equipment and chemicals used, and may range from 105° up to 190° F. Many spray washers operate best in the 140° to 180° F range. If the water temperature is too hot, though, water loss due to evaporation may become a problem requiring more make-up water to maintain the cleaning solution. Some equipment suppliers recommend a slightly lower water temperature when cleaning aluminum while others do not. Maintenance includes adding make-up water as needed to compensate for water which is lost during cleaning operations and to evaporation, adding detergent and other chemicals such as rust inhibitors to maintain the proper balance in the solution, replacing or cleaning filters and oil skimmers as needed to slow the buildup of contaminants, and periodically removing sludge and other solid matter that accumulates in the bottom of the cleaning equipment. The key to successfully cleaning parts with most aqueous-based processes is keeping the water clean. Clean water is especially important in spray washers because dirty water can clog spray nozzles, reducing the overall cleaning effectiveness of the process. Spray washers and power washers depend mostly on the force of the water striking the surface to loosen and wash away dirt and grease, but many also rely on the detergent or other chemicals to complete the job. Filters and skimmers can prolong the life of the solution, but cannot do so indefinitely unless other means are employed to treat and restore the solution. Disposal of any type of liquid cleaning process can be a challenge. Dirty water poses fewer environmental dangers than solvents, but it depends on the contaminants that are in the water. Heavy metals such as lead, cadmium and chromium are the main concerns and can be minimized by removing bearings and plated parts prior to washing. But if the water contains significant amounts of these contaminants, it may have to be disposed of as hazardous waste. For this reason, wastewater should always be tested to determine what’s in it and whether or not special handling is required. New methods of wastewater processing have been developed that literally remove the waste product from the solution. The water is then typically clean enough to return to the cleaning equipment, recycled or disposed of in the sewer. The removed waste can often simply be landfilled, although depending on the chemicals remaining other methods of disposal may be more suitable. • Manual system. In essence, this is a sink on a drum that recirculates a heated water-based solution. A filtered stream of 100° to 115° F aqueous cleaning solution flushes away dirt and oil as parts are cleaned with the familiar brush on the end of a hose. Experts say many of these drum and sink tanks are also being converted to bio-remediation systems. A bio-remediation system is a water-based solution that contains microbes, which are live organisms that eat oil. Oil-eating microbes transform the grease and other gunk into water and carbon dioxide. The process is relatively slow and it requires maintaining the water temperature within a certain range, usually no hotter than 110° to 120° F, and replenishing the microbes regularly. • Immersion system. This is a less labor-intensive method in which parts are – simply enough – immersed in a cleaning solution. Within the immersion cleaner’s tank a lift platform agitates up and down during the cleaning process. This type of system can also be used as a soak tank. In addition to a lift platform, a recirculating pump can be added to provide more turbulence to the tank. This moves the cleaning solution around in a circle inside the tank, creating additional scrubbing action. Immersion washers are very effective on intricate parts – those with blind holes, channels, etc. The agitation process forces the cleaning solution into all the tight areas of the engine part. • Jet washer or cabinet washer. Essentially, this is an industrial-strength dishwasher. Jet washers use a pattern of spray nozzles that spray cleaning solution with detergents under some pressure (typically 40-60 psi) onto the parts.The combination of water pressure impinging against the surface, and the secondary action of the water and detergent dispersing and rinsing away the contaminants does an effective job on most automotive parts. The disadvantage of the spray cabinet washer is actually the advantage of the immersion washer, experts explain. The jet washer’s spray pattern cleans what it hits very well. But it can’t get into tight areas – blind holes, for example – and if it can’t get in there, it can’t clean. There are several different types of spray cabinets. Front loading cabinet washers typically have spray bars underneath the basket, on top of the basket and on the sides to provide full coverage of the spray. Another type of cabinet washer is the top-loading kind. The advantage to this design is that you can use an overhead crane to load it. Spray washers or jet washers generally use V-jet nozzles and some type of stationary manifold system to direct water at parts sitting on a turntable inside a cabinet. On some washers, the parts are stationary and the nozzles rotate to vary the spray pattern. High-pressure spray cabinets add increased cleaning capabilities. They require manual operation and blast out about 400-600 psi of pressure. This gives a high degree of impingement with an aqueous cleaning solution to clean even parts with blind, tight areas. Spray washers and power washers come in a variety of sizes and configurations, with prices ranging from $6,000 up to $50,000 or more. • Ultrasonic washers are very effective, used primarily for removing carbon and burned on oils. The process is particularly effective in cleaning blind holes and geometrically complex parts. Ultrasonics is the science of sound waves above the frequency normally considered audible for humans (above 18 Kilohertz). When vibrations at these high frequencies are introduced into liquids, areas of extremely high vacuum and extremely high pressure are generated alternately at any given point in the liquid as the sound waves pass. Under the influence of a vacuum, the liquid is literally torn apart to create what is called a cavitation bubble. As positive pressure replaces the vacuum which formed the cavitation bubble, it collapses in implosion resulting in high pressure shock waves which do the work we ascribe to ultrasonics. The result: Energetic disturbances generated by the implosions of countless cavitation bubbles. These perform the cleaning task by providing micro-agitation throughout the liquid volume. When it comes to parts cleaning, the fact remains you have options. It will depend on what works best and what method you prefer.